There is nothing overly complicated about Emmanuel Macron’s struggle with the angry insurgency of France’s self-styled gilets jaunes. A president who stormed the citadels of the French political establishment en route to the Elysée Palace, and who has since pushed through an impressive array of reforms, turns out to be not so good at, well, politics. Satisfaction with the way the yellow-vested protesters have punctured Mr Macron’s Jupiterian presidency is not confined to la France profonde. We have been watching the retreat from Moscow, a paid-up member of the Parisian elite said the other day of the president’s troubles. Last summer Mr Macron marked his first year in office by celebrating a victory in Moscow for France’s football World Cup team. And now? A spate of ministerial departures and the weekly appearances on the streets of the gilets jaunes have seen his ratings fall. At a time when governments across Europe are being destabilised by the growing distance between rulers and ruled, Mr Macron ignored one of the more elementary rules of politics. His government of super-smart technocrats barged its way into the relationship between voters and their vehicles. Cars do not matter much for metropolitan elites. But outside the big cities, they are a vital expression of individual freedom and an essential tool of daily life. The French president is not the first to make such an error. In 2000 a young and hitherto hugely popular prime minister by the name of Tony Blair looked on helplessly as British fuel depots were blockaded by protests against rising prices at the pumps. The nation shuddered to a standstill. The lesson was learnt. 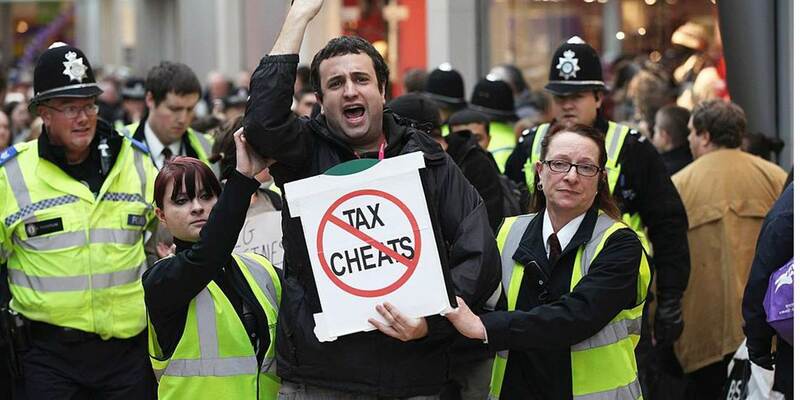 During nine of the 10 years since the 2008 financial crash, British governments have frozen fuel taxes. Colliding attitudes towards cars offer about as good a measure there is of the political estrangement within much of Europe between prosperous cities and struggling provincial towns and rural areas. In the 2016 Brexit referendum, most of Britain’s great metropolitan centres backed EU membership. The Leave vote came in provincial cities and towns. Remainers can take the bus or Undergound; for Leavers a car often is the only way to school or workplace. The well-heeled worry about air quality; their provincial cousins about the price of a tank of petrol. The car, a Parisian friend reminded me the other day, has a particular significance in French politics. During the 1950s, the economic demands of the Poujadist movement, from which today’s gilets jaunes draw inspiration, came close to laying low the Fourth Republic. The establishment was saved only because fast-spreading vehicle ownership provided a safety valve for the grievances of small town France. Mr Macron’s misfortune last autumn was that a long-planned increase in the fuel tax followed a succession of market-driven price rises and coincided with a government safety initiative cutting the speed limit on secondary roads. To add insult to injury, the government also toughened up safety checks on the older vehicles that fill the roads of rural France. An attack on living standards became an assault on the essential freedoms of many French citizens. The measures could each be justified on its own terms. Put them together and they delineated the gulf between the worldview of a technocrat in the Elysée and the harsh realities of life for those beyond the Paris ring road. Appearances also matter. Mr Macron’s prime minister and cabinet would not be out of place on the Paris catwalks. Only the 71-year-old foreign minister, Jean-Yves Le Drian, has looks that blend with those in the sticks. The president is making amends. He has frozen the fuel tax, raised benefits for those on the minimum wage and restored relations with the provincial mayors he had previously shunned. He will never cut it as a man of the people, but a much trumpeted national consultation invites citizens to have their say in shaping the future. Listening and, more importantly, being seen to listen, is a good start. Marine Le Pen, leader of the renamed National Rally party, offers the protesters nothing but scapegoats and snake oil. The scapegoats are the elite, Muslim immigrants and the EU; the snake oil an economy crouching behind the walls of fortress France. There is nothing here but anger and bile. But like populists everywhere, Ms Le Pen has one big strength — a half-convincing pretence that someone is paying serious heed to the grievances of the left behind. Mr Macron’s reform agenda has been unfairly traduced. True, some early tax breaks for the rich sent a confusing signal. But, fundamentally, his reforms — in education and training, welfare and taxation — are shaped to widen opportunity. The best answer to populism is a new economically inclusive social contract that answers the grievances of those pushed to one side by technological advance and globalisation. This is the battle to be fought in the May European elections. But Mr Macron is all but alone among European leaders in promoting such a contract. He is not getting much help. This week he joined Germany’s chancellor Angela Merkel in signing a new Franco-German co-operation treaty. It has some useful elements, particularly in the area of mutual defence. But Berlin had to be dragged to the table. Ms Merkel is fluent in the language of European solidarity. The practice falls far short. Yet Germany, as much as any, needs Mr Macron to succeed. 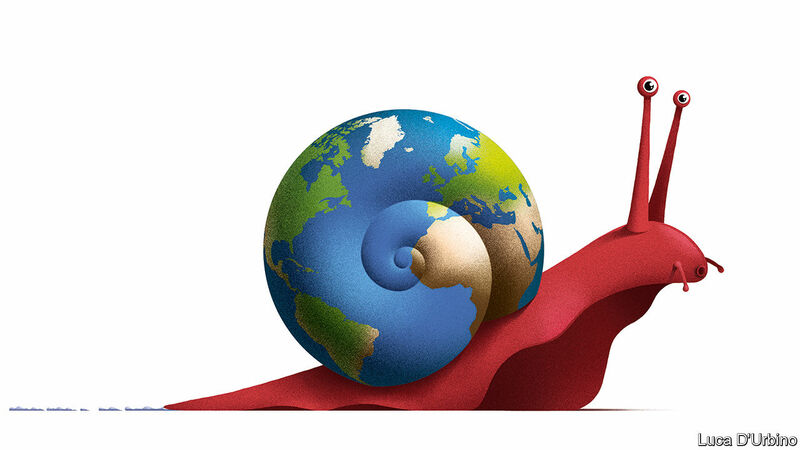 NEW YORK – In the last few years, globalization has come under renewed attack. Some of the criticisms may be misplaced, but one is spot on: globalization has enabled large multinationals, like Apple, Google, and Starbucks, to avoid paying tax. Apple has become the poster child for corporate tax avoidance, with its legal claim that a few hundred people working in Ireland were the real source of its profits, and then striking a deal with that country’s government that resulted in its paying a tax amounting to .005% of its profit. Apple, Google, Starbucks, and companies like them all claim to be socially responsible, but the first element of social responsibility should be paying your fair share of tax. If everyone avoided and evaded taxes like these companies, society could not function, much less make the public investments that led to the Internet, on which Apple and Google depend. Spurred on by the threat that the digital economy will deprive governments of the revenues to fund function (as well as distorting the economy away from traditional ways of selling), the international community is at long last recognizing that something is wrong. But the flaws in the current framework of multinational taxation – based on so-called transfer pricing – have long been known. Some worry that including employment might exacerbate tax competition, as governments seek to encourage multinationals to create jobs in their jurisdictions. The appropriate response to this concern is to impose a global minimum corporate-income tax. The US and the European Union could – and should – do this on their own. If they did, others would follow, preventing a race in which only the multinationals win. 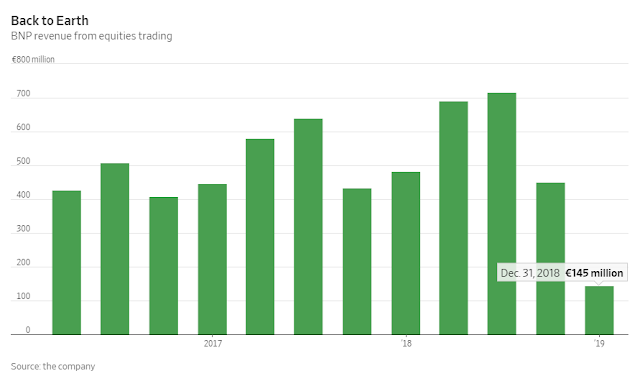 Investment banking was tough for many at the end of 2018, but at Europe’s largest bank by assets, BNP Paribas , BNPQY 1.00%▲ it was bad enough to throw its strategic plans off track. The French bank cut its expectations for revenue growth Wednesday, increased its cost-cutting targets and cut its overall return on equity target for 2020 to 9.5% from 10% after reporting disappointing 2018 numbers. Most of the changes were down to its investment bank. Analysts were already doubtful about BNP’s return targets. Some, such as RBC Capital Markets, thought its new revenue growth forecast of 1.5% would still draw skepticism from investors. 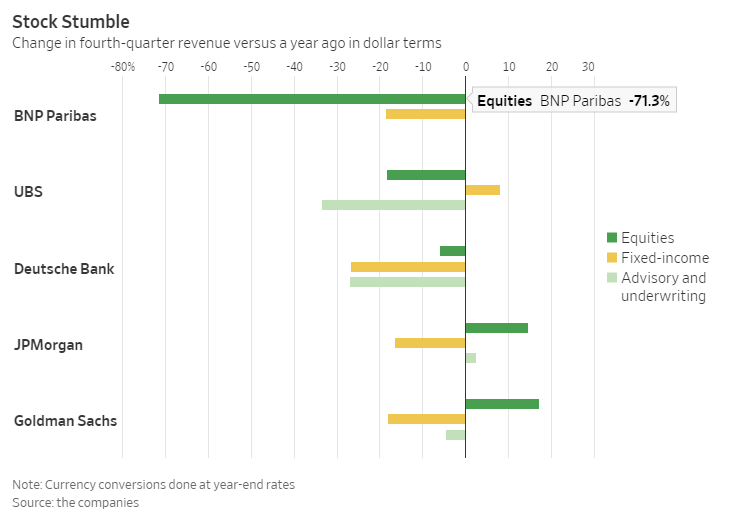 The French bank’s equities business was the biggest disappointment in the fourth quarter. Not only was activity weaker in general, but it also suffered valuation losses on equities and derivative positions held on its books and took a big loss unwinding hedges on a large U.S. index derivative position. Equities were BNP’s brightest spot in 2017 and the first half of 2018 after a big push into the hedge fund business brought strong revenue growth. That momentum evaporated in the fourth quarter with the losses it suffered cutting revenue by 70% versus the comparable period a year earlier. The rebound in stocks in 2019 so far should reverse some valuation losses, but the U.S. hedging loss is permanent. BNP now has to do more of what most other banks have already done: weed out less profitable customers and low-returning business. It has already decided to close a trading desk that made bets with the bank’s own funds. However, the market outlook isn’t great: More market volatility that is short, sharp and difficult to manage seems likely this year. Investors need reassurance that the slip-ups in equities won’t be repeated. - Metals are setting up a much bigger rally to come later this year. - I still think we see a pullback before the bigger rally takes hold. - We have one more potential pitfall in the coming months in the metals complex. I am often asked by many to see the type of analysis I provide to our members of the Market Pinball Wizard. So, rather than write a separate public article on metals this week, I am going to re-publish my analysis posted to my members over the past weekend. However, I am leaving the charts out, as I have to leave something that is exclusive to my members. Extremes are the hallmark of the metals market. And those that handle the extremes best are usually the ones who do best in the metals market. The main point is that metals move to extremes in sentiment, and you need to understand that if you intend on allocating your money into this volatile complex. And, our longer-term members have been battle-hardened, standing shoulder to shoulder with us in the past, as we have together conquered these sentiment extremes through the years. Moreover, our Fibonacci Pinball method suggests that once we begin a 3rd wave, the 1st wave of that 3rd wave will rally to AT LEAST the .382 extension of waves I and II. In our case, that would suggest the market should take us at least to the 25 region for that 1st wave. It also suggests that a 2nd wave retrace in that instance would point us back down to the 19/20 region. It hasn’t been an easy six months for auto investors, but one thing they haven’t had to worry about is President Trump threatening a 25% tax on imported cars. That may be about to change as trade talks between the U.S. and the European Union shift up a gear. The EU on Friday unveiled its starting point for negotiations, the U.S. having published its ambitions earlier this month. Preliminary talks toward a trade deal started last July when EU Commission President Jean-Claude Juncker traveled to Washington and signed a truce with President Trump following the U.S. imposition of tariffs on imported steel and aluminum, including from Europe. The White House agreed not to levy any more tariffs on EU products during the talks. It has a similar understanding with Japan, with which President Trump is also pursuing a trade deal. But the U.S. and EU negotiating positions look uncomfortably far apart. The White House objectives cover all goods and services with the explicit aim of reducing an $151 billion trade deficit in goods with the EU. The EU Commission—the bloc’s executive arm—has set out a far more limited scope of negotiation, excluding agricultural products. The problem is that the White House needs results for farmers and ranchers, given President Trump’s rural support base. 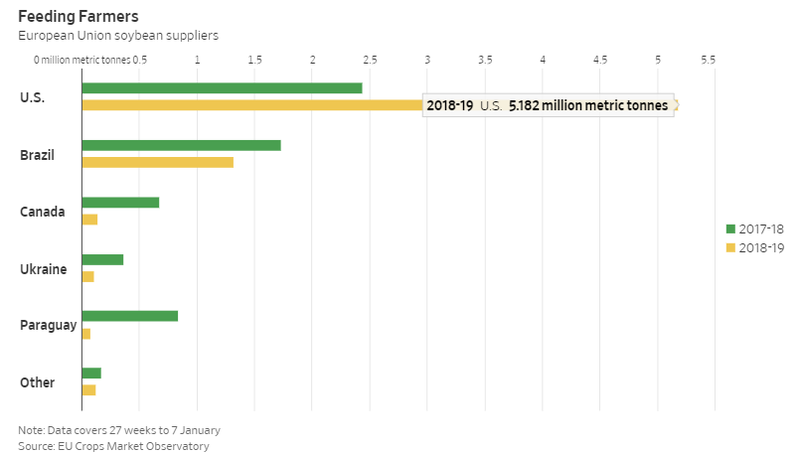 Knowing this, the EU has more than doubled its purchases of U.S. soybeans, replacing some of the exports lost to China, which has all but stopped buying the commodity from the U.S. amid ongoing trade tensions. But the White House wants broader access to EU food markets. BMW, Daimler and Volkswagen ,Europe’s key vehicle exporters, could become collateral damage in this food fight. Republican Sen. Chuck Grassley, chairman of the Senate Finance Committee, said last week that President Trump was “inclined” to use vehicle tariffs, calling them an “effective tool” in negotiations. President Trump is due to decide next month whether to impose a 25% tariff on imported cars on national security grounds. He seems likely to find some way to draw the threat out and dangle it over the coming EU trade negotiations. Auto investors should buckle up for a bumpy ride. 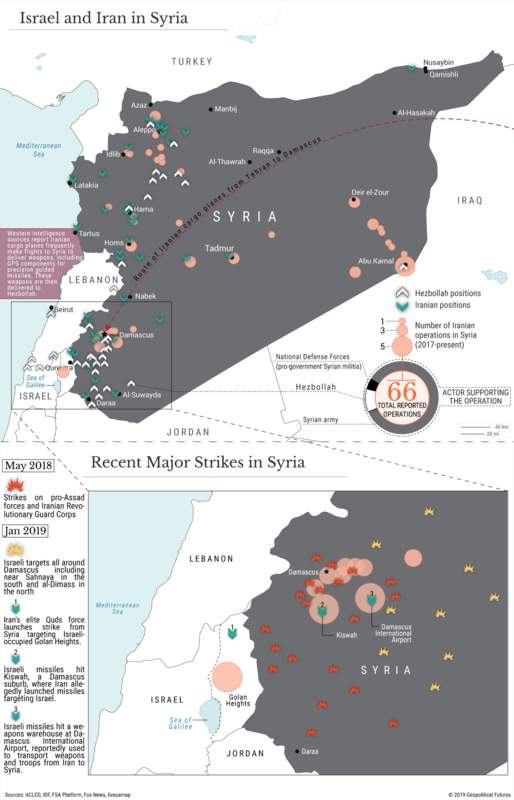 Maps show current positions and recent operations in the Syrian war.